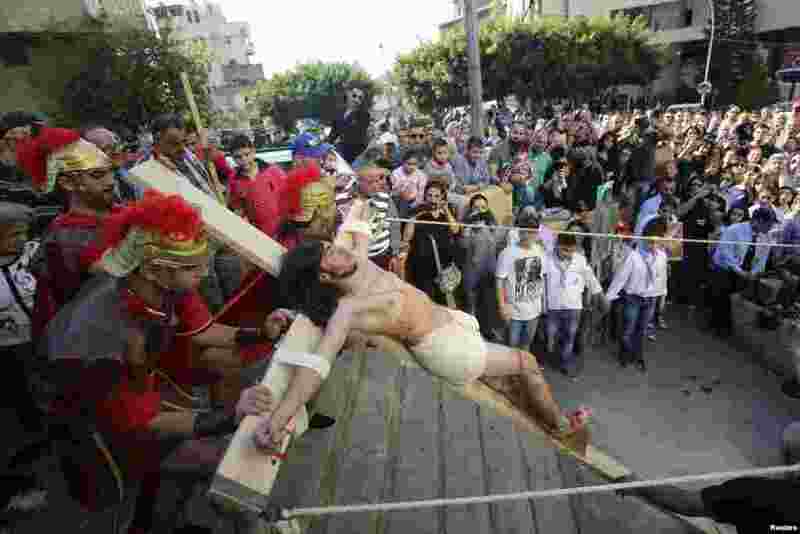 1 Lebanese Christians take part in a reenactment of the crucifixion of Jesus Christ on Good Friday beside Mar Joseph Chruch, Dhour Sarba, Lebanon, April 18, 2014. 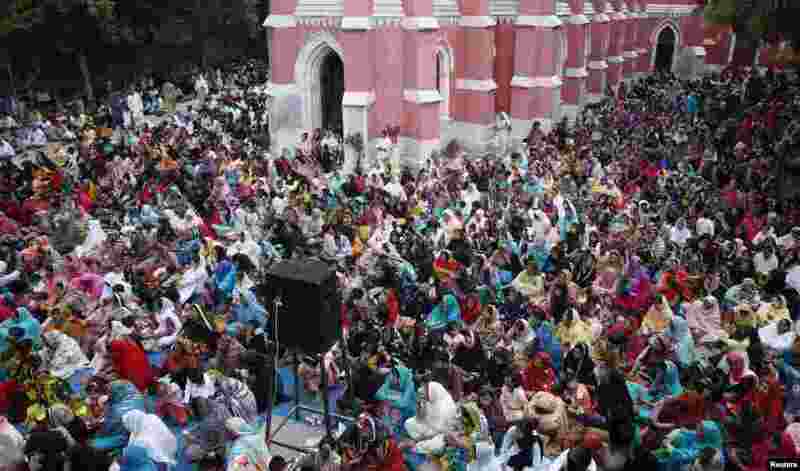 2 Pakistani Christians attend a Good Friday service at the Saint Anthony Church in Lahore, Pakistan, April 18, 2014. 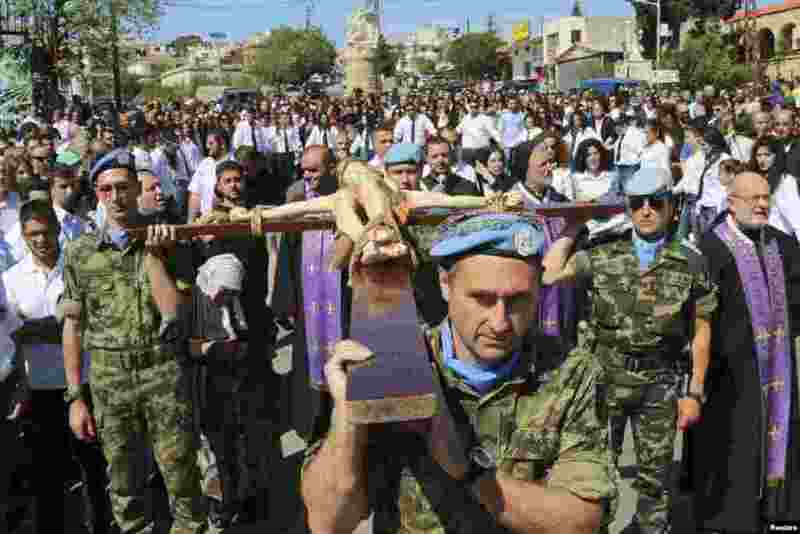 3 Serbian and Spanish U.N. peacekeepers carry a cross with a statue of Jesus Christ during a Good Friday ceremony in Kalayaa, Marjayoun countryside in south Lebanon, April 18, 2014. 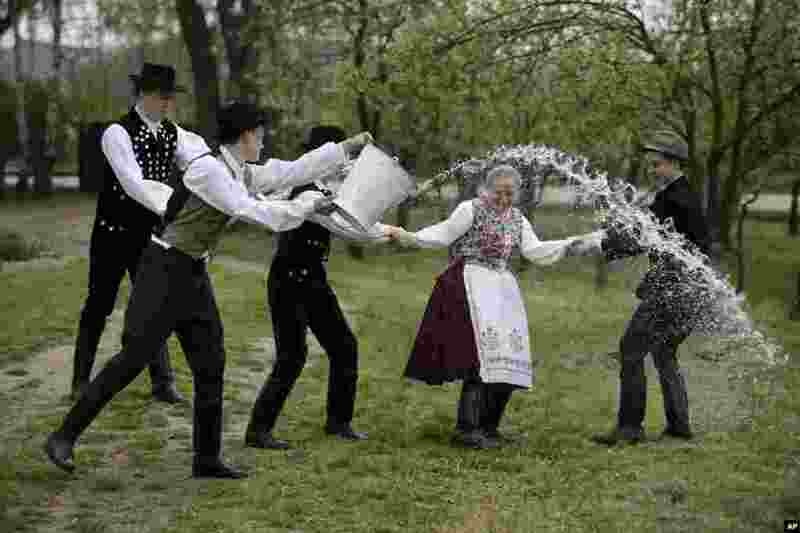 4 Young men dressed in traditional Paloc folk costumes pour water from a bucket on a young woman performing a folk tradition, the Easter sprinkling, in Kazar, some 100 kilometers northeast of Budapest, Hungary, Good Friday, April 18, 2014.